Faith is huge. It's basically the most important thing in life. With faith in Christ we can and will be able to do anything. Without it we'll just stay natural men and women, going along through life, thinking we're progressing, but we won't be. And we won't be happy. Occasional good moments, but no real happiness. We'll be bitter at life because it didn't give us any of the joy that we instinctively thought it would. But if we have faith in Christ, miracles will occur within and without ourselves. All the dreams and hopes that we instinctively felt would come our way will come. We actually will have a happy ending (well, kind of - we actually won't have an ending, but we will have happy). Our progress will be real, and our joy will be real. We'll be grateful for every moment of our lives if we've lived it with faith in Christ. Is there really anything more valuable and important that we could do than cultivating and using our faith in Jesus Christ? The miracle of the day is how astonishingly beautiful it is outside. The "blizzard" that was forecast ended up being a peaceful heavy snowfall. Jeff walked me home around midnight, and the moon was recently full and the snow was deep and mostly untouched. It was a perfectly peaceful dark winter night. It reminds me of one of my favorites poems of all time, by Sara Teasdale. I spent almost the entire day with my brothers and my youngest sister, trying to keep them entertained so that they wouldn't watch any movies or play the computer. It was exhausting. I got pretty grumpy. But I also grew closer to them, and had some awesome moments with them. In an effort to get out of the house (I ran out of ideas of things to do there, and I felt lonely), I texted Jeff and asked if we (Joshy, Charles and I) could come up to his house. We walked there, which was an adventure of its own, (but also included some awesome teaching moments and a gospel conversation), and eventually got there. Jeff took a break from his schoolwork, and we played Hide and Seek, then Sardines, and somehow Charles initiated a change to Monsters. The four of us spent a long time chasing each other around the house as monsters, killing by tickling, healing by kissing, and making things up as we went along. It was a blast. I love living like a child. I've done it a lot more in recent days, and I feel great. =) I'm learning to not care what others think, and just have fun, and do what's right. I'm sure it'll take a lot of time and practice to truly not care about what others think, but I'm working on it. Though they are frustrating and rambunctious at times, I think I pretty much have the best little siblings ever. =) And I'm dating the best guy, who is willing to take a break from his work/study to cut off a robot scorpion's poisonous tail with a light saber and tickle said robot scorpion until he turns into a human. The best brothers, and the best guy. Am I blessed or what? Tomorrow I get my haircut. Nervous!! I'm planning on making a big change in my hairstyle... We'll see how it goes. "Alex Haley would be proud..." / Teaching with power, unto the convincing of others / Live with hope and faith! So, I got some awesome personal revelation today. And I also went on a walk, which led me to the cemetery. I tried to find Gottlieb, my great-great-grandfather, but I haven't found him yet. Though I did find some people with my last name, as well as some people with the same last name as Gottlieb's third wife. It was enjoyable. The sky was overcast, but the air was pretty warm (about 55 degrees). It was very relaxing. I was there for quite a while. The Relief Society meeting turned out okay. I hope the words I said sounded real, and touched their hearts. I only spoke for a few minutes. And it was kind of ramble-y. But I tried to really say what I was thinking and feeling. "What a year it's been - are you still the same?" I saw an old friend tonight that I hadn't seen in quite a while, and seeing him reminded me of one of the most amazing times in my life. It was during a time I was going through a lot of stress, related to the guy I was dating. The friend that I saw tonight was friends with me back then, and he could tell I was stressed. He took me on a bike ride, probably around 8:30 in the evening, during March, in Rexburg. In other words, it was completely dark, and rather cold, but that didn't matter. The bike ride was exactly what I needed. I experienced a true escape for the next hour or hour and a half. No one, except the friend I was biking with, knew where I was. There was basically no one else outside either (too cold!). I wasn't tied down to anything. I felt at home on that bike. We were riding wherever we wanted to, in town, and even it into the countryside for a while. I really felt like I wasn't tied down to anything. I could go as fast as I wanted, wherever I wanted. I didn't have to worry about getting lost, because I knew my friend knew the way back. I also knew that he truly considered me a friend. He didn't take me on this bike ride so he would have a better chance of dating me. He was truly a friend. We talked about simple happy things. We sang. We tried to figure out some constellations. No pressure. No deadlines. No expectations. No limits. No fear. No stress. I've tried to explain why that night was great. I've tried to recreate it at times. But I've never had everything line up so perfectly since then, to produce such a free feeling. I'm so accustomed to living with stress. I hope I can find that same feeling again. It was a truly miraculous feeling. Why don't we allow ourselves to get this excited about music? I think this is another example of how we should strive to be like children. I miss the days when my purpose was summed up in one sentence and repeated aloud frequently. "My purpose is to invite others to come unto Christ by helping them receive the restored gospel through faith in Jesus Christ and His Atonement, repentance, baptism, receiving the gift of the Holy Ghost, and enduring to the end." Life's not quite as simple now. Maybe it should be. My purpose now is more like "Invite people to come to Christ. And prepare myself to be a competent loving music therapist. And prepare to get married and raise a family." Okay, so I actually thought that list was going to be a lot longer, but I can't think of anything else that big. Most of my other tasks fit under one of those categories. Sweet! Still, it's more than one purpose, so it gets rough sometimes keeping it all going. Sigh. Anyway, not a typical post, but I just felt like it. I guess I better mention a miracle. Here's an excellent one: Temperature above 60 today! In November! And the leaves are still on the trees, in their beautiful colors. I went on a mini-hike today, and I don't think I'll ever get over the beauty that is autumn. =) God's creations are so awesome!! Slept in a little too much. My Music Therapy class starts at 8:30. I woke up at 8:37. I was in class by 8:42. Impressive? Yes. Impressive as having the discipline to get up when the alarm goes off, getting ready, and being to class on time? No. Lots of homework and stuff. Nothing too exciting today, other than that the weather was absolutely beautiful for a November day. Loved it. Me, cooking? And twice in one week? That IS a miracle. "Pray unto the Father with all energy of heart, that ye may be filled with this love, which he hath bestowed upon all who are true followers of his Son, Jesus Christ;...that we may be purified even as he is pure." The miracle of forgiveness amazes me. It amazes me that through one Man, Jesus Christ, despair and bitterness can be replaced with peace and healing. If that's not a miracle I don't know what is. Having had the opportunity to forgive someone who had hurt me and led me to feel bitterness, I can testify that the peace that comes from the forgiveness and the peace that comes from Jesus Christ, are very real. He can heal every wound. Everything that seems unfair in this life can be made right through the Atonement of Jesus Christ. I've come to see that virtue truly does bring joy. My life is so much more peaceful than it would have been if I had allowed anyone to convince me otherwise. Every person living a life of virtue is a truly beautiful miracle. 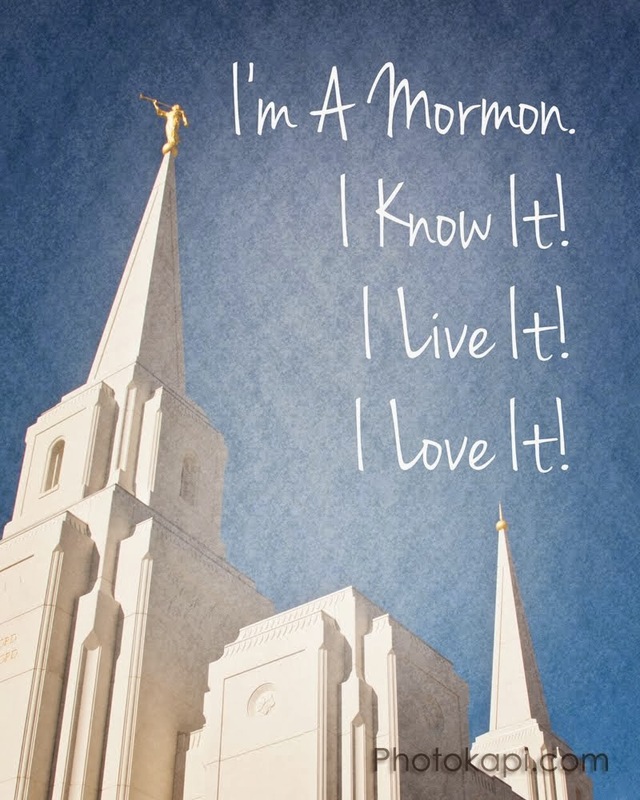 I know that what Elder Holland says about the Book of Mormon is true, especially that the Book of Mormon has been given "to bring happiness and hope to the faithful in the travail of the last days," and that the Book of Mormon provides safety for the soul, because it leads us to Jesus Christ, the Savior. The Book of Mormon is a miracle that means more to me than most any other miracle. One of the greatest miracles in my life currently is that one of the greatest men I know cares about me and considers me to be his friend. And why is he one of the greatest men I know? He has a relationship with God, seeks to follow Him with all his heart, and he truly loves, serves, and cares for God's other children, everyone around him. I'm lucky to know him. I received personal revelation today during church. I felt the Lord telling me that any time someone was entrusted in my stewardship, I should go beyond the minimum for helping them. Go the extra mile, do more than what's expected. I went visiting teaching after church, and was given the opportunity to do just that. The Lord keeps giving me answers just hours (or minutes [like my "Patience is the key to success" answer]) before I need them. That is a wonderful miracle. I visited a friend I've had since Kindergarten, and we can still laugh together just as hard as we used to. I have the cutest little siblings ever. And there's nothing better than a child expressing pure, innocent and simple love. Miracle that DID happen today: Swing dancing in the kitchen! Even better! As well as in the living room. Life is great. Miracle: I cooked a delicious omelet. Miracle: I have a friend who is patient and caring enough to teach me to cook. The miracle that almost came true...swing dancing in the living room. "We weren't talking about miracles - we were living 'em."